Dr. Paul M. Colombani, Chairman of the Pediatric Surgery at Johns Hopkins All Children’s Hospital, Professor of Surgery, Pediatrics and Oncology at the Johns Hopkins University School of Medicine and the Robert Garrett Professor (Emeritus) of Pediatric Surgery, is honored as “Best in Medicine” by the American Health Council. He will be sharing his knowledge and expertise on Oncology, Pediatrics, and Pediatric Surgery. Board Certified in Pediatric Surgery and Surgery by The American Board of Surgery, Dr. Colombani utilizes his three decades of expertise in his role as Chairman of the Pediatric Surgery at Johns Hopkins All Children’s Hospital, Professor of Surgery, Pediatrics and Oncology at the Johns Hopkins University School of Medicine and the Robert Garrett Professor (Emeritus) of Pediatric Surgery. 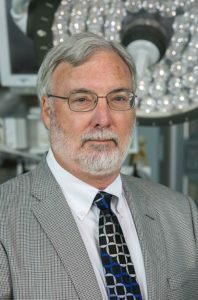 Following graduation with a medical degree from the University of Kentucky College of Medicine in 1976, Dr. Colombani completed a residency at George Washington University School of Medicine in General Surgery in 1981. Subsequently, he pursued a residency at Johns Hopkins University School of Medicine in Pediatric Surgery in 1983 and a fellowship at Johns Hopkins University School of Medicine in 1984. He is a Fellow of the American College of Surgeons and the American Academy of Pediatrics. To further develop his professional career, Dr. Colombani earned a Master of Business Administration degree from Johns Hopkins University. As the Chairman of the Pediatric Surgery at Johns Hopkins All Children’s Hospital, Professor of Surgery, Pediatrics and Oncology at the Johns Hopkins University School of Medicine and the Robert Garrett Professor (Emeritus) of Pediatric Surgery, Dr. Colombani’s day-to-day responsibilities includes training residents and fellows, clinical patient care, and duties associated with his roles as Chair of Surgery at Johns Hopkins All Children’s Hospital, president of the Johns Hopkins All Children’s Hospital clinical practice group (All Children’s Specialty Physicians) and as a professor at John Hopkins University. To keep abreast of the latest in the field of Medicine, Dr. Colombani maintains membership with The American Surgical Association, The Southern Surgical Association, American Academy of Pediatrics, The Transplantation Society, American College of Surgeons, American Pediatric Surgical Association, and the International Hepato-Pancreato-Biliary Association. As a testament to his success, Dr. Colombani has been honored with The Alpha Omega Alpha Award and The Robert Garrett Professor Honor. Dr. Colombani maintained consecutive recognition as one of America’s Top Doctors (2002-2014), America’s Top Doctors for Cancer (2005-2013), Top Doctors: Baltimore Area (2012), and Top Doctors: Washington-Baltimore (2012). Dr.Colombani has held several notable positions in his three decades of surgery including an appointment in 1991 as the children’s surgeon-in-charge at The Johns Hopkins Hospital and chief of the division of pediatric surgery, an appointment as the president of Johns Hopkins All Children’s Hospital’s Specialty Physicians in September 2014 and consultation as a committee member for the U.S. Food & Drug Administration, US Pharmacopoeia, United Network of Organ Sharing, and the Residency Review Committee for Surgery of the Accreditation Council on Graduate Medical Education. Dr. Colombani became involved in the field of pediatric surgery based on the challenges and demands of the field. Looking back, Dr. Colombani attributes his success to his dedication and being highly trained as well as his ability to focus on new areas for better patient care. Considering the future, Dr. Colombani hopes to further develop the academic faculty at all children’s hospitals in Florida and conduct further research. In his free time, Dr. Colombani enjoys reading, hunting, and fishing. Top 50 children’s hospital named by U.S. News & World Report, John Hopkins All Children’s Hospital provides access to the most innovative treatments and therapies available. Has given thirty-five years to the healthcare industry, with four years in his current role. Expertise in Transplantation, Pediatric Oncology, Biliary Surgery and Thoracic Surgery. Received The Alpha Omega Alpha Award and The Robert Garrett Award for his work done in the Medical field.